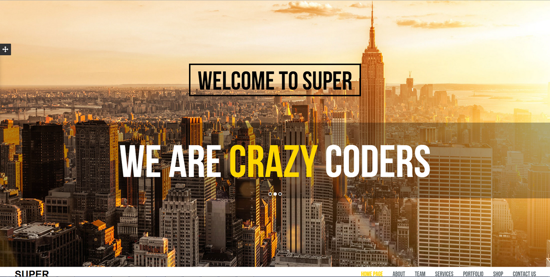 SuperOne is the perfect one page parallax template for corporate, agency, nonprofit, freelancer or general business. Theme theme compatible with all mobile devices (like tablets, mobile phones, laptops etc.) and retina display ready (for high-quality images), modern and cross browsers compatible. If would you like to build professional e-commerce site with nopCommerce , we recommended corporate , agency , nonprofit ,freelancer SuperOne theme because the theme comes with shows perfect your company and also continue use nopCommerce and sell products and manage behind .